The Asian Waterbirds Census (AWC) is a part of a global waterbird monitoring programme, the International Waterbirds Census (IWC) that is coordinated by EAAFP Partner Wetlands International. IWC ensures continuous monitoring of waterbirds, which is crucial for biodiversity conservation especially for waterbirds. The year 2016 marks 50 years of the IWC. Tomoko Ichikawa, Communication Officer of EAAFP and Eugene Cheah joined the AWC Sabah 2016 held in Malaysia to provide technical support and training. Sabah is located in Borneo and supports many migratory waterbird species including Chinese Egret, Asian Dowitcher and other species recently uplisted to the IUCN Red List such as Red-necked Stint, Far Eastern Curlew and Bar-tailed Godwit. 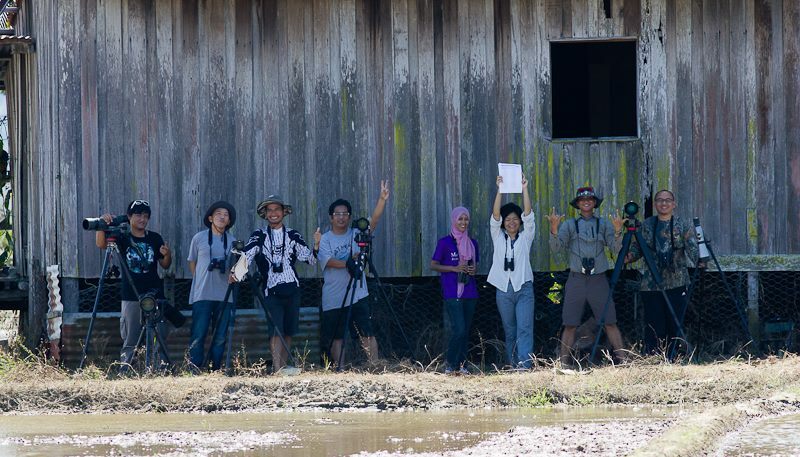 In Malaysia, the AWC is recognized as Malaysia’s only annual and consistently-implemented monitoring programme for its wetlands and waterbirds. However, the AWC has not been conducted in Sabah since 2007. 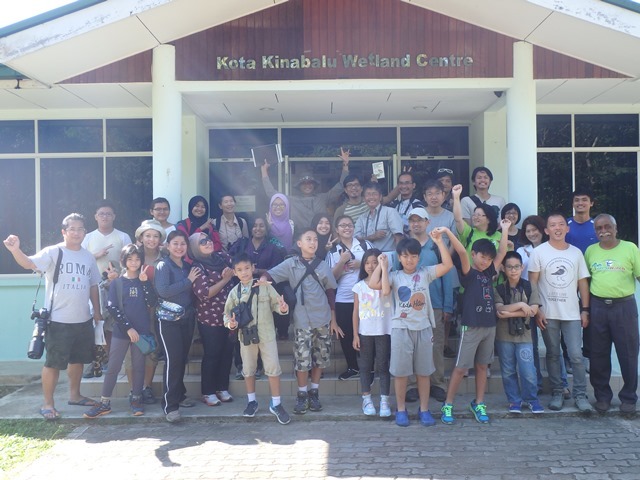 This year, it was revived through the coordination of the Malaysian Nature Society (MNS) Sabah Branch with the technical support of the EAAFP Secretariat and special venue support from the Kota Kinabalu Wetlands visitor center. Eleven sites were covered in six days with the participation of 45 volunteers including ten children. Among the eleven sites, five had been covered in earlier AWC counts (Sembulan, Kota Kinabalu Wetlands, Likas Lagoon, Likas Mudflat, and Tempasuk Plains). Six new sites were covered since they are known as important habitats for waterbirds in Sabah (Papar paddy field, Penampang paddy field, Tinagat beach and pond, Kg. Mengkabong Timbuk, Lok Kawi beach, and Lok Batik). In the briefing held in Kota Kinabalu Wetlands, Tomoko introduced the situation of migratory waterbirds in the East Asian – Australasian Flyway and the importance of continuous monitoring and Eugene explained how to conduct the census. 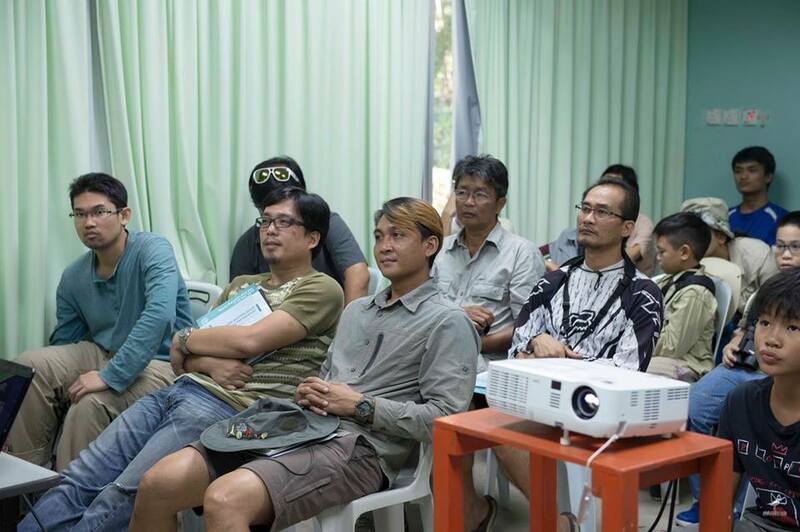 In Sabah, the number of bird watchers is growing. Waterbird monitoring provides an excellent opportunity for citizens to participate, learn about and contribute to the conservation activities. This will become increasing important to support conservation in Sabah. This count encouraged networking and participants were very active and enthusiastic, working with each other and exchanging experiences. The result of the census will be compiled by MNS, the national coordinator of the AWC. Previous results are available on their website.